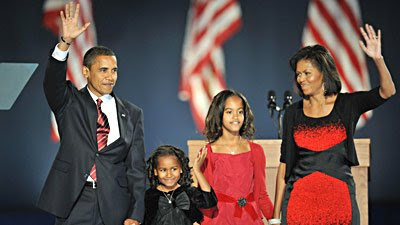 Barack Obama, the son of a father from Kenya and a white mother from Kansas, was elected the nation’s 44th president Tuesday, breaking the ultimate racial barrier to become the first African American to claim the country’s highest office. There were a huge voters turnout and from the news it look like every American citizen is high-spirited to do their part to vote. "I Have A Dream"- Martin Luther King Jr.